MoMM 2/C John W. Martin, son of Mr. and Mrs. W. W. Martin, Graham, husband of Betty Rose Shively, attended Graham High. 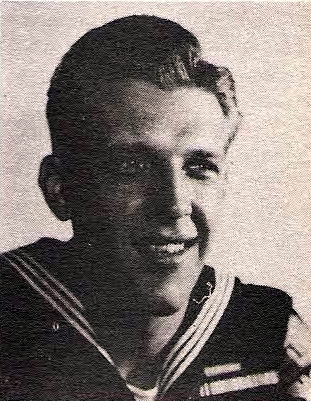 Entered Navy in 1943, trained at San Diego and Coronado, Cal. Served on USS, LCI (G) 450. Awarded Pres. Unit Cit., Amer. Theater, AAPO, and Victory Ribbons. Discharged in 1946.